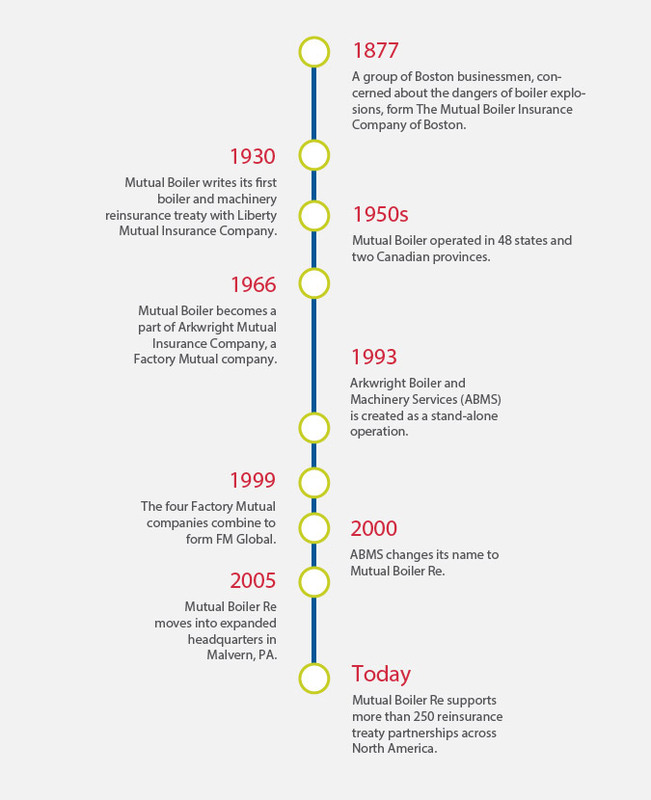 Mutual Boiler Re has been proudly providing equipment breakdown coverage and protection to partner companies since the invention of steam-powered boiler systems. Our strong heritage of providing quality products and innovative services continues today. Mutual Boiler Re, as a member of the FM Global Group, is backed by the superior financial strength of Factory Mutual Insurance Company, which has garnered some of the highest financial strength ratings in the industry: AM Best – A+ (Superior), Fitch rating – AA (Very Strong) and Standard & Poor’s – A+ (Very Strong).